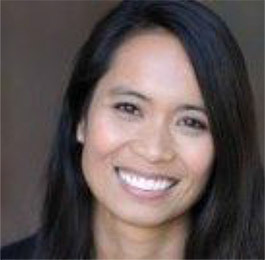 Co-Founder and CEO of QuestBridge, a revenue-generating non-profit organization which connects America’s brightest low-income students to the nation’s best universities and opportunities. While an undergraduate at Stanford, Ana co-founded QuestBridge with Michael McCullough in 1994. QuestBridge now partners with 36 of the nation’s best colleges and universities. QuestBridge is working to revolutionize the way leading colleges and universities recruit talented low-income students, and the way that these students approach their educations and futures. For her work with QuestBridge, Ana received the prestigious Dinkelspiel Award for outstanding contributions to education at Stanford. Ana speaks nationally to academic, corporate, and student audiences on topics such as access to higher education, the abundance of untapped talent in America, and making the most of your teens and 20’s, including and especially the college years. Ana is Co-Founder and former VP of Content at Shmoop.com, and is a former management consultant at McKinsey & Company. In addition, she worked for five years as a consulting scientist to the Environmental Defense Fund and served as a research associate for Stanford President emeritus Donald Kennedy. Ana holds a J.D. degree from Stanford Law School where she focused on youth and environmental law. Together with her husband Michael McCullough, Ana serves as Co-Founder of the Quest Scholars Program and QuestBridge.